Virginia Railway Express partially blames the roll out of a new safety system for a number of recent delays. Positive Train Control — a system that can slow or stop trains going too fast or approaching another train on the tracks ahead — was first fully activated for a VRE train on the Federicksburg Line Feb. 14. Last month, it was expanded to all Fredericksburg Line trains. Last week, the first Manassas Line train activated the safety feature. While staff was trained on the safety feature, it can still take several trips for train crews to get used to, VRE said. This has led to slower than usual operations, even with a help line. “We will continue to roll out PTC on the remaining Manassas line trains this week and work with our host railroads to minimize conditions in our service area that result in delays to VRE trains,” VRE said. The delays are in addition to VRE mechanical issues that remain under investigation and other issues related to freight trains. VRE operates on tracks controlled by freight rail companies. The Manassas Line also runs on tracks owned by Norfolk Southern. State officials are talking with CSX, Amtrak and VRE about ways to improve schedules to provide better service for all three. “We need to look at the schedules of Amtrak, VRE and the freight railroads to see if there are some efficiencies and time savings and things that could improve the customer service as well rather than just throwing a train out there just to sit behind another train,” said Michael McLaughlin, chief of rail transportation with the Department of Rail and Public Transportation. 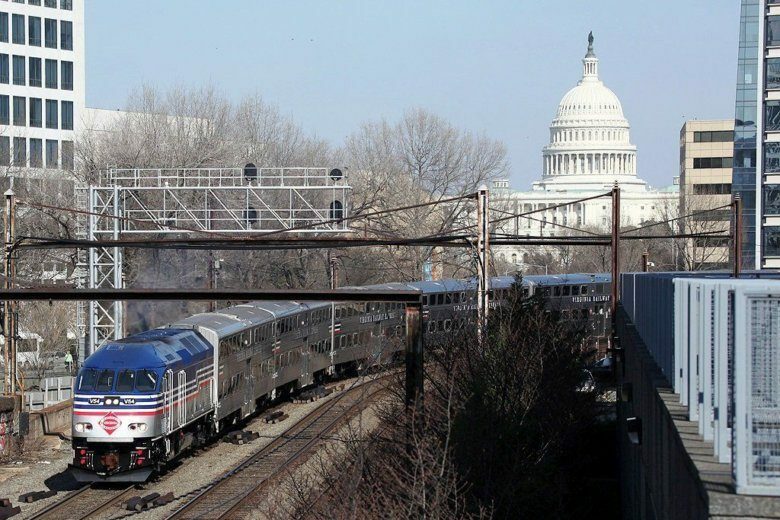 Just adding a single new Amtrak train from Norfolk to D.C. through Richmond took weeks of discussions, he told the Commonwealth Transportation Board Tuesday, because of the ripple effects on crowded tracks over the Potomac River and at Union Station. “But all parties do agree we can do a better job of the schedules to help out our customers,” he said. Rail service is key even to those who do not ride, since the tracks offer alternatives to additional car and truck traffic on parallel highways like Interstate 66 and Interstate 95. The rails are crowded too, but schedule tweaks are the most riders can expect in the near future. Amtrak is aiming to eventually reduce waits at Union Station by getting locomotives that can operate on both diesel and electric to eliminate the need to change engines before continuing on. Virginia and the District are working on long-term plans to expand the Long Bridge between Arlington and the Southwest waterfront area. In the best case, that expanded bridge and associated additional tracks in Virginia could open by 2026 or 2027. This would allow for a sharp increase in the number of Amtrak or VRE trains, and the possibility of MARC or VRE service running beyond Union Station into Maryland or Virginia.